This is just awesome. Not much else can be said, but WOW. I like the perspective of the climbers to the mountain. You can feel the power of Vinson and the humanness of the climbers. Fantastic atmosphere and great processing! This is an amazing blog, like a walk along the world. Keep up posting! 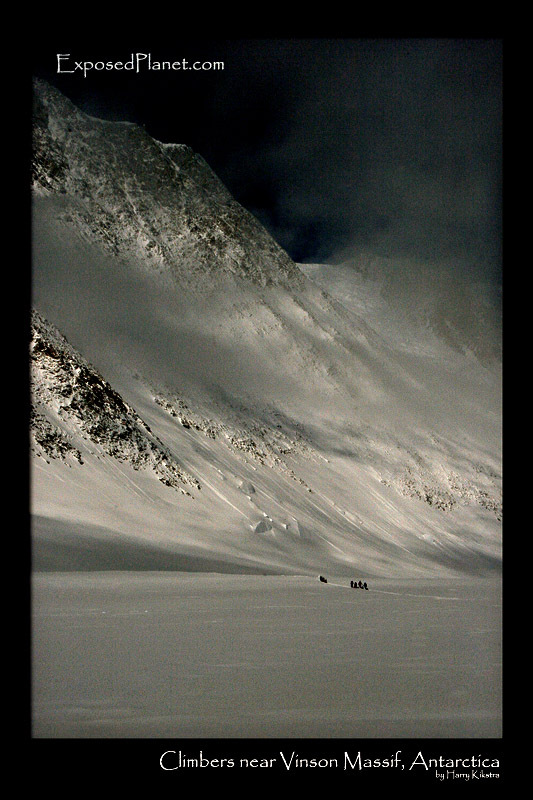 The story behind "Climbers near Vinson Massif, Antarctica"
A row of climbers with their sleds, returning to basecamp after a succesfull climb of Mt Vinson, the highest mountain of Antarctica..